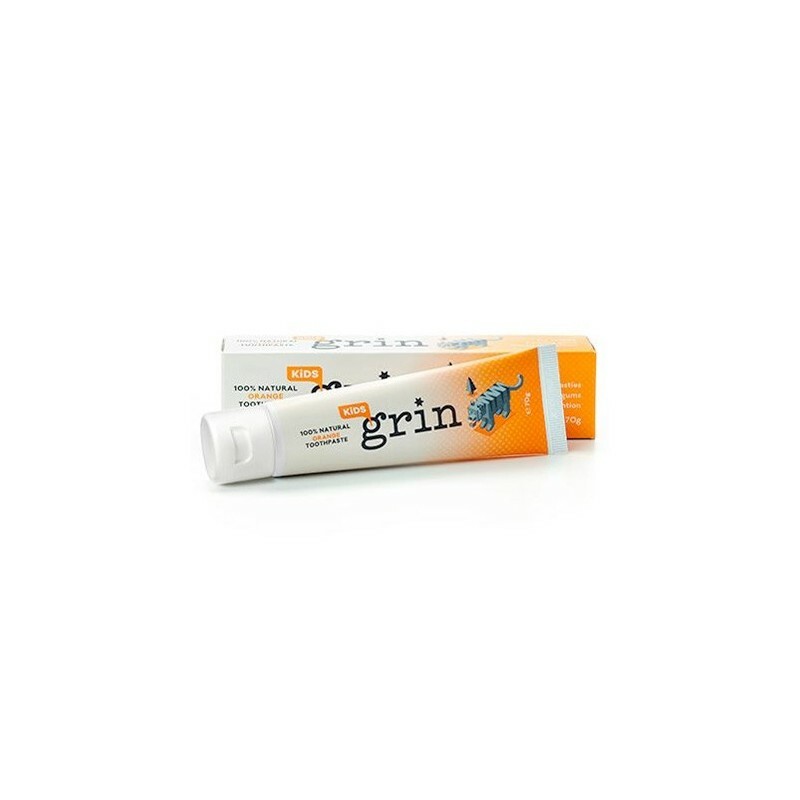 An orange flavoured kids toothpaste that uses all natural ingredients. Made in New Zealand, using locally sourced ingredients, including three key active ingredients of organic calendula oil, aloe vera extract and sea salt. This special blend has been developed in cooperation with New Zealand dentists and chemists to soothe gums and prevent cavities. 70g. Grin operates in a sustainable manner and supports the local community. Organic calendula oil and aloe vera extract to soothe gums. Organic NZ fine sea salt is a natural cleanser and whitener. No SLS, Triclosan, added sugar, preservatives, artificial colours, artificial flavours, fragrance or harsh abrasives. Aqua, Vegetable Glycerine, Silica, Organic Calendula Officinalis Extract, Organic NZ Fine Sea Salt, Organic Aloe Barbadensis Leaf Extract, Potassium Olivoyl Hydrolyzed Wheat Protein, Xanthan Gum, Natural Orange Flavour, Citrus Grandis (Grapefruit Seed) Extract, Xylitol. 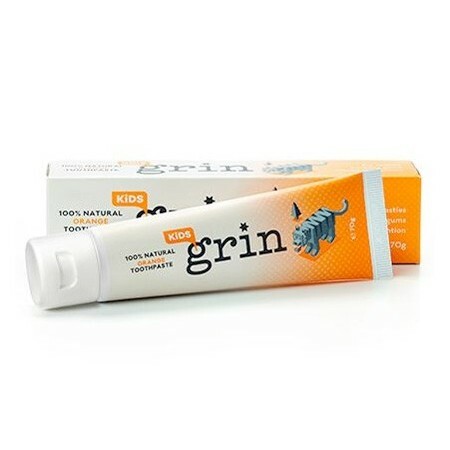 Browse our other natural toothpastes. We've since run out of this toothpaste, but my daughter loved it!! It's a clear sticky like gel, instead of like supermarket toothpaste, which took a while for my 4yo to get over, but after then, she loved it!